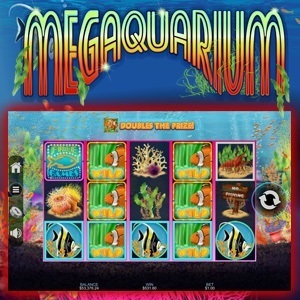 Grab your scuba gear and get ready to go beneath the surface with our brand new slot game from Real Time Gaming, Megaquarium! Explore the underwater world with the many colorful fishes who reside there, all while you cash in on big bonus opportunities! 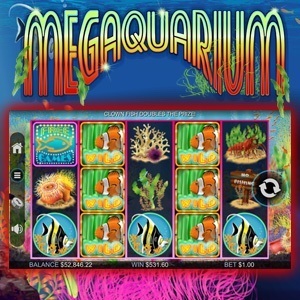 This 5-reel 50-payline slot game offers so many chances to cash in on the treasures that lie on the ‘aquarium’ floor, you’ll be walking away with plenty of ‘catches’! 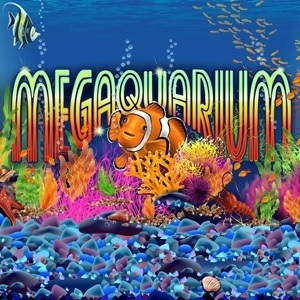 Swim through in hopes of triggering the Megaquarium Free Game feature, while you also stand the chance at triggering the Bonus Game, Super Game or Mega Game features! If that wasn’t enough ‘treasure’ for you, look forward to the 2 Progressive Jackpots, won at random at the end of the game. 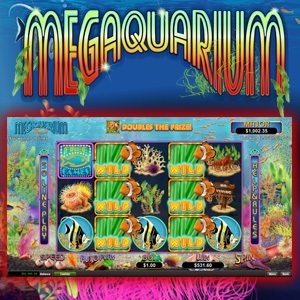 Available on Instant, Download and Mobile, when you play Megaquarium, you won’t be looking for dry land anytime soon!